Superb lines of design create a chair that encompasses the best in seating today. With its injection molded polypropylene outerback, you can have great aesthetics and ease of maintenance. 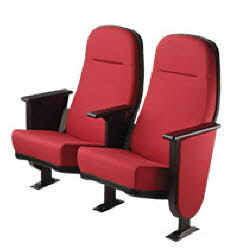 Offering an overall chair height of 38-1/2 inches, this chair is perfect for all auditorium environments.